Parsley may not not have a huge amount of use in the kitchen (although parsley soup is one of my absolute favourite dishes) it is for some reason one of the most widely grown off all culinary herbs. It is also one of the most difficult to grow from seeds unless you have self-sown seedlings from an existing parent plant. However as parsley does not propagate from cutting you can only really grow parsley from seed. So to begin with, when it comes to growing parsley outside from seed you will need a suitably prepared seed bed. This can be started in the autumn (for a spring sowing) by adding plenty of well-rotted manure and digging it deeply into the soil. This is important not only because parsley needs to be able to develop long taproots, but it also has high nutritional requirements. 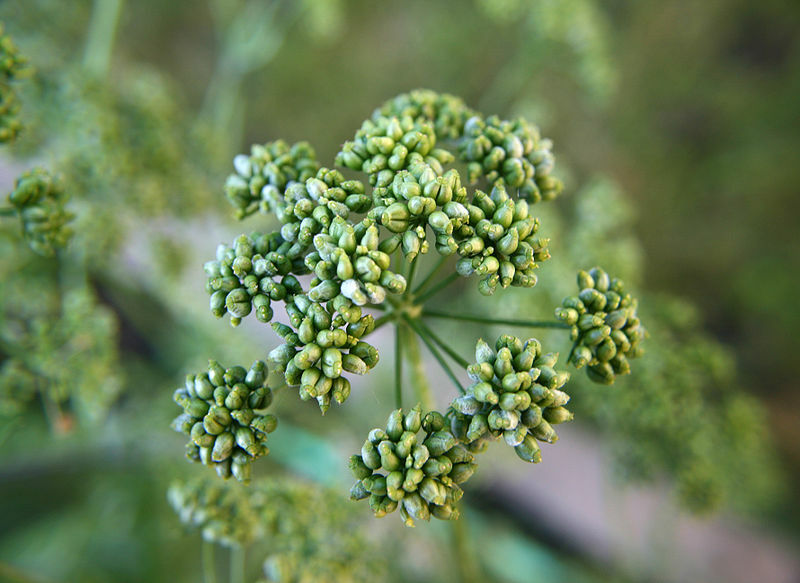 If you wish to crop parsley all year round you will need to prepare two different sites. The first (for harvesting during the summer) will need to be sited on a partially shaded (west or east facing) bed. However for winter harvesting you will need to be growing parsley on a sheltered, south facing bed. For both sites the soil will need to be free-draining, yet also able to retain its moisture – a difficult combination to achieve but difficult soils can be improved by adding plenty of organic matter such as leaf mould or composted bark. Germination is always very slow and during this period - anywhere between 3 and 8 weeks - the soil must be kept moist at all times otherwise the seed will not germinate. However try this tip for successful germination, soak the seeds overnight in warm water before sowing into shallow drills or alternatively, pour freshly boiled water along the seed drills just before planting. Whichever way you decide to use, once the seed is in place cover it very lightly with soil. Depending on how early you start your crop you may wish to give it some protection such as a cloche to help maintain soil temperatures. Once the seedlings begin to emerge, water regularly and give it a good quality liquid feed - such as a seaweed extract - once a week. 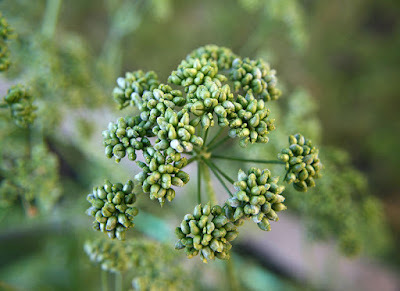 Without sufficient water parsley can flower within its first season reducing its foliage growth and affecting its flavour. Cutting out the emerging flowering stalks will help with this, but it is not ideal solution. When harvesting the leaves, take them from the outside of the plants as new growth occurs at the centre. 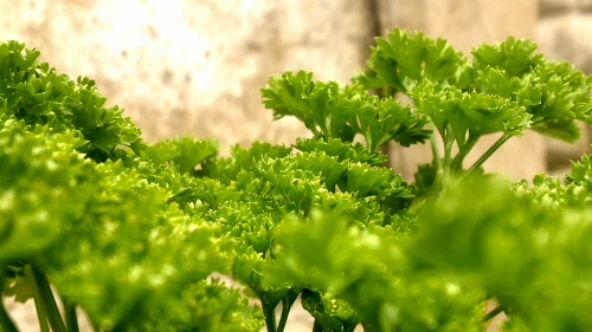 Parsley is not a good herb for drying as it will quickly lose its flavour so either use it fresh, or keep in a plastic bag for storing in the freezer.